We all want to save money on vet’s bills and there are some simple things you can do that will certainly cut costs in the long-term. So your children want a dog and you want a cat and before you know it, your house is filled with pets. 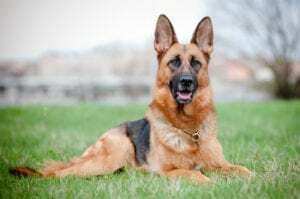 But did you know that some breeds are predisposed to certain illnesses? Large breed dogs often suffer from hip dysplasia, and dogs like Daschunds may suffer spinal ailments. Make sure you know what you are in for before you take the plunge. 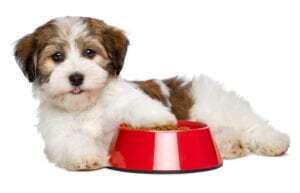 Chat with your nearest vet about the pet best suited for your household. Ok, so yes, that first set of puppy and kitten vaccinations is pricey but guess what? Should your puppy or kitten contract any of the highly contagious diseases vaccinations protect against, the costs go up fivefold because treatment is long and expensive and, worst case scenario, not always successful. Vaccination is your pet’s best protection, and renewing them annually will give him/her that protection for life. There are two issues at play here: WHAT your pet eats, and HOW MUCH. You may think you’re saving thousands by buying cheaper brand supermarket specials but here’s the thing: most of these foods lack essential vitamins and minerals, contain poor quality protein and bulking agents so your cat or dog doesn’t get the nutrients he needs and demands twice as much food! Premium-quality brands are so nutrient-rich, you feed less, there is less poop (thus less wastage) and your pet stays stronger for longer. BUT, and it’s a very big but, don’t overfeed! Overfeeding can lead to obesity which in turn leads to all sorts of debilitating (and costly) diseases like diabetes and heart disease. Stick to the amounts recommended on the packaging, or ask your vet for advice. If you’re not sure whether your pet is obese, pop in to Country Animal Clinic in Somerset West or EberVet Pet Clinic in Strand for a FREE weight check. This really is a no-brainer. Should your pet give birth to a litter, you’re responsible for the first set of vaccinations. Imagine the cost of vaccinating 8 new puppies plus their mum! It’s also true that a sterilised pet is healthier as their immune system is stronger. Book that appointment now. Nah, my pet doesn’t have fleas! I have a clean house. Oh yeah? Sorry, but the truth is that only 5% of adult fleas can be seen with the naked eye. That means that the rest of them are there but you just can’t see them. And they’re not just on your pet. Fleas love nothing more than to hide in the tiniest cracks in floorboards, in the seams of soft furnishings and in cupboards. Getting rid of a flea infestation can be very expensive, and may take months. Your easiest, and cheapest, option is regular parasite control. There are so many variations – chews, powder, collars, spot-ons – and they’re highly effective, some for up to eight months! They also protect against ticks and ticks cause biliary which can be deadly. Exercise isn’t just good for humans. It keeps your pet’s weight down, which protects him against diabetes and heart disease, and it builds stronger bones and muscles. It’s also good for your pet’s mental health. Like us, pets need companionship and stimulation to be happy. 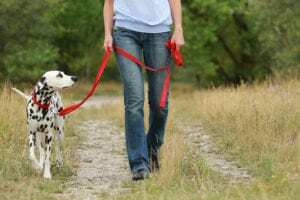 Walking with your dog or playing with your cat is essential to their psychological health. The earlier a disease is spotted, the easier it is to treat. Period. Problem is, pets – and in particular, cats – can be very good at hiding illnesses until they are really far gone. In fact, by the time cat owners notice their feline friends drinking excessively or urinating in odd places, up to 75% of their kidney function has already gone. An annual checkup will pick up these issues early, making treatment easier and more successful. 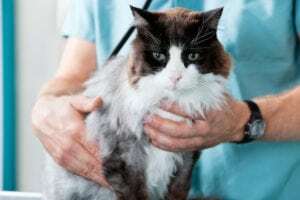 When a pet’s been around for a number of years, it’s easy to overlook subtle changes in their behaviour but from the age of 7, at the very least, you should start noticing things that must alert you to potential illnesses. Limping, sleeping more than usual, reluctance to exercise, changes in eating patterns, drinking excess water. From the age of 7, pets should see your vet twice a year as a safeguard. If you notice anything unusual in the way your pet’s behaving – even if he’s just two years of age – get him to your vet. The earlier you do, the better his chances and the greater the saving for you.